Welcome to our RoseKidz Blog! We are passionate about sharing the Good News of Jesus Christ and equipping believers to live out the Great Commandment: to love God with all our heart, soul, strength, and mind and to love our neighbors as ourselves. Our hope is to help parents, teachers, and children’s ministry leaders to raise the next generation of Christian believers with strong, biblical foundations to last a lifetime with Bible lessons, kids devotionals, children’s Christian fiction and much more! The RoseKidz Blog is managed by Children’s Editor Brenda Noel and the RoseKidz staff. Noel brings her experience as Director of Children’s Ministries at Rolling Hills Covenant Church where she oversaw hundreds of volunteer staff. In addition, she brings years of experience as supervisor of child development in the Redondo Beach Unified School District to the RoseKidz team. RoseKidz is an imprint of Rose Publishing, a best-selling leader in Bible reference, incorporating bestselling titles from Rainbow Publishers and Legacy Press. Rainbow Publishers® publishes reproducible resource for Sunday School teachers. 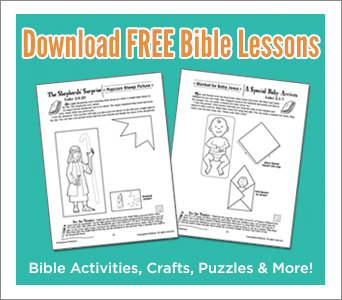 Age-appropriate, full-reproducible, and flexible, Rainbow’s teaching material helps kids grow closer to God and are packed with Bible crafts, Bible activities, puzzles, and more! Check out Rainbow’s top series “Instant Bible Lessons,” “Five-Minute Sunday School Activities,” and “Favorite Bible Stories.” Shop Best Sellers. Legacy Press publishes age-appropriate devotionals for girls and boys. They also produce Bible-based fiction books, journals, and life guides! Legacy Press is best known for its God And Me! and Gotta Have God series of devotionals for girls and boys; both of which are national best-sellers. Its devotions, journals, and Christian fiction books, including the “Mom’s Choice” award-winner, Bill the Warthog, help kids grow in their faith. Shop Best Sellers.